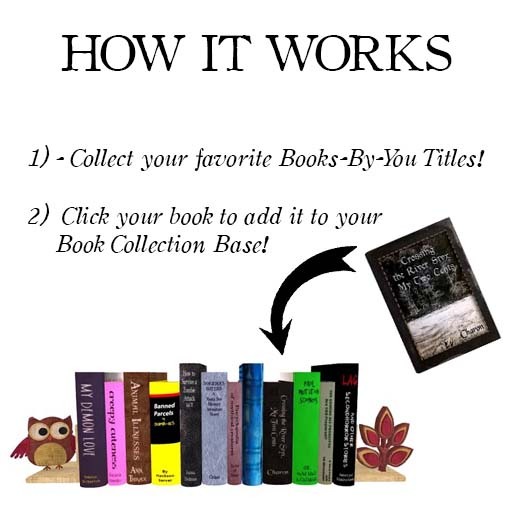 [ free bird ] is proud to introduce the Books-By-You Collection and Free-For-All! 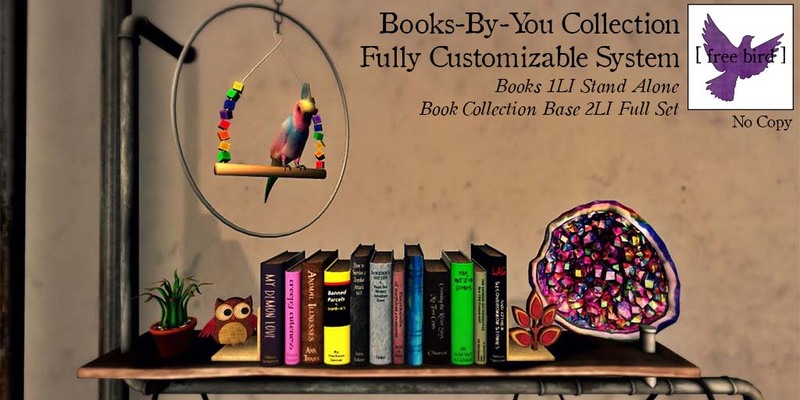 This brand-new system allows you to FULLY CUSTOMIZE your book collection! 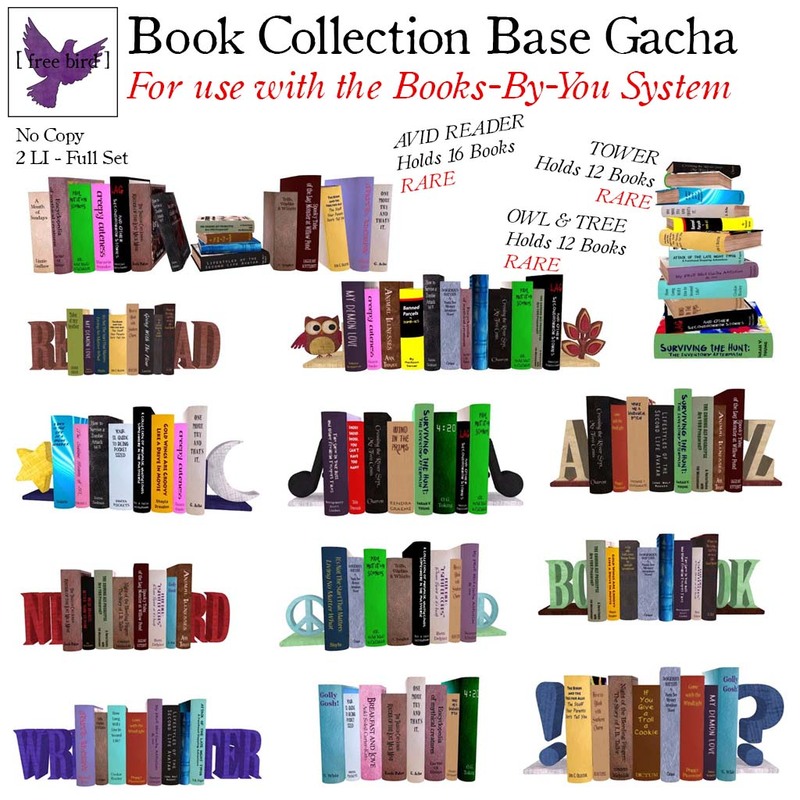 Only 2LI per Book Collection Base – So don’t be shy, bookworms! PLUS!! 3 VERY SPECIAL RARE Book Collections available only in the Gacha! In addition, both Gachas HALF-OFF during the event! 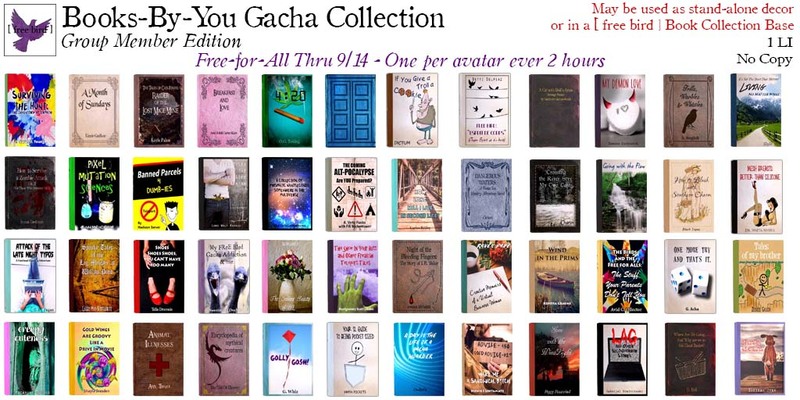 Free-For-All Available NOW through 9/14! I LOVE LOVE LOVE this idea!!! The bookworm in me is rejoicing as I type! !